“You Can Depend On Me” was most famously recorded by Peggy Lee in 1961. It has also been recorded by Louis Armstrong, Nat King Cole and Tony Bennett. This song was recorded on September 11, 1956 and released in 1957 on the album Tony. 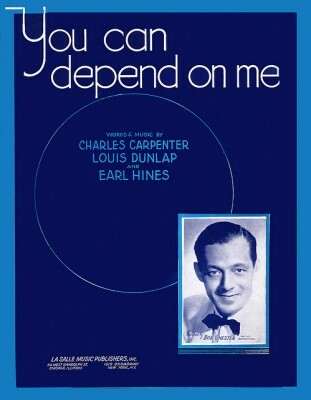 “You Can Depend On Me,” a duet with k.d. lang, was recorded in March 2002 and released that same year on Tony Bennett & k.d. lang: A Wonderful World. Vocal arrangements were by Rob Mathes. The album was orchestrated and conducted by Peter Matz.